The waiting is over. Organizers of Austrian Nova Rock festival announces first package of confirmed acts for 2018, including all headliners. They also extends by adding the 4th festival day (Sunday, June 17th). Same as last years, the festival on Pannonia fields in Nickelsdorf will take place again over 4 days. This time it will be from June 14th to 17th. The first evening will be headlined by German megastar from Düsseldorf, punk-rock band DIE TOTEN HOSEN. They’ve already headlined the festival a couple times in the past and in 2018 they will come back to present their latest release Laune der Natur (2017). For the third time, Nova Rock festival will welcome the highly anticipated metal band, AVENGED SEVENFOLD. Californian group of 5 musicians – M.Shadows (vocals), Synyster Gates (guitar), Zacky Vegance (guitar), Johnny Christ (bass) and Brooks Wackerman (drums), will return after 4 years and will present their latest studio record The Stage, which surprise-dropped in October 2016. The album hits No. 1 on Billboard’s Rock, Hard Rock and Alternative Albums charts, No. 4 on the Top 200 and debuted Top 5 on iTunes in over 35 countries. This year they’ve expanded the album with 4 live tracks and 7 brand new cover versions of old classic hits. A7X will headline Friday’s evening (June 15th). 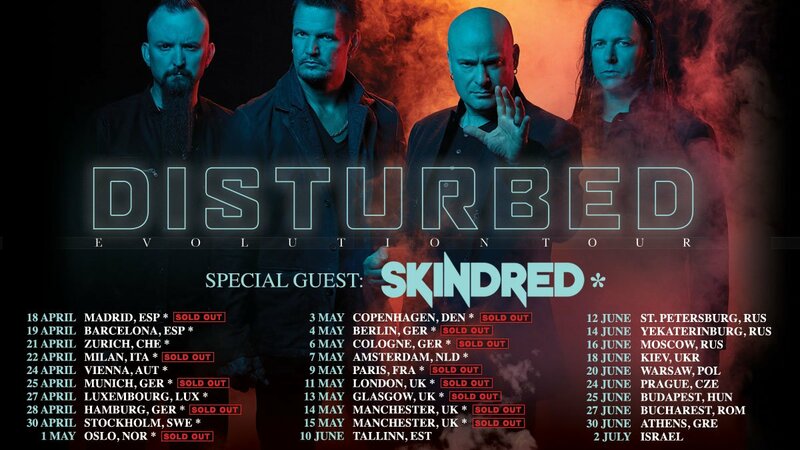 After successful run around US with Metallica and A7X, and EU headline stadium tour this summer, Danish rock band VOLBEAT will continue to roll over 2018. Michael Poulsen (vocals), Rob Caggiano (guitar), Kaspar Boye Larsen (bass) and Jon Larsen (drums), are still touring in support of their 2016’s record Seal the Deal and Let’s Boogie. With their massive show, they will make a stop at Nova Rock on Saturday, June 16th. Icing on the cake will be no one other than legendary British metalists IRON MAIDEN with their brand new Legacy Of The Beast show. The concept of the show was inspired by Maiden’s mobile game and comic book of the same name and the stage set design will feature a number of different but interlocking “worlds” with a set list covering a large selection of Eighties material with a handful of surprises from later albums to add diversity. Nova Rock will continue also its tradition of recession late night special acts. First confirmed for 2018 is OTTO & DIE FRIESENJUNGS. Tickets to festival are available to order at www.oeticket.com, until December 6th for a reduced price 164,99€. All previously purchased 3 days passes remains valid and no further action is needed. «Next Post Iron Maiden announce Legacy Of The Beast European tour for 2018!